My thanks to Jo Fletcher Books for this one for sending me a finished copy of The Curious Affair of the Witch at Wayside Cross by Lisa Tuttle! 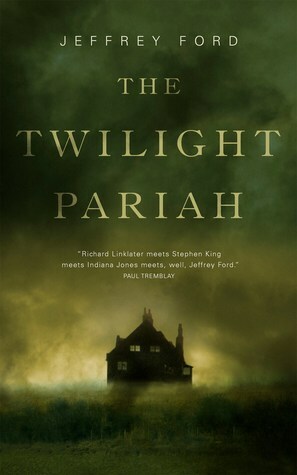 This is the follow-up to The Somnambulist and the Psychic Thief which I’d actually tried reading last year but didn’t get far because there was a lot going on at the time, not because I didn’t like the book. I’ll probably give it another shot one of these days, now that I have the sequel handy. I’m also very excited about The Salt Line by Holly Goddard Jones, a dystopian described as being in the spirit of Station Eleven. I’m going to be starting this soon, if I haven’t already made a dent in this by the time this post goes live! With thanks to G.P. Putnam’s Sons for the review copy. Call of Fire by Beth Cato is the sequel to last year’s Breath of Earth which I have to admit I have not read (but really want to!) I’m told that I can start here without getting too lost though, so maybe I will do just that. With thanks to Harper Voyager. Courtesy of Thomas Dunne Books, I also received a finished hardcover of Magicians Impossible by Brad Abraham which I’m really thrilled about, because it sounds like a very fun book! It’s become a must-read for this fall. Next up comes a couple of ARCs from the kind folks at Subterranean Press: Hellraiser: The Toll by Mark Alan Miller and The Father of Lies by K.J. Parker. For the life of me I couldn’t find much info on either of these yet, but hopefully more will be revealed soon! What I do know is that Mark Alan Miller is the VP of Clive Barker’s production company with a few other Hellraiser franchise-related credits under his belt, and of course any new K.J. Parker is cause for excitement. 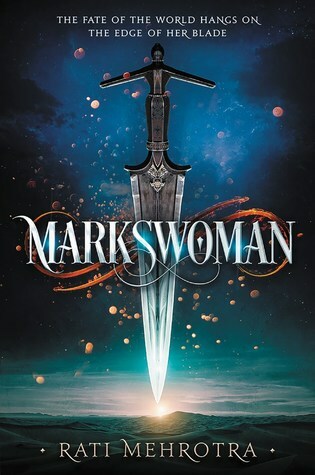 On to the digital haul, my thanks to Harper Voyager for providing e-galleys of Markswoman by Rati Mehrotra and The City of Brass by S.A. Chakraborty. Both caught my eye when I tuned in to their Blogger Preview Event last month. 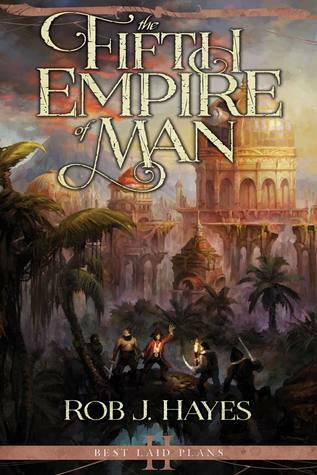 The Fifth Empire of Man by Rob J. Hayes is book two of Best Laid Plans, a grimdark fantasy series about pirates. 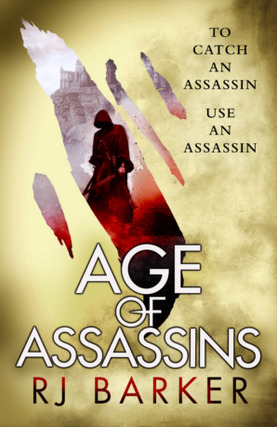 I’d just recently reviewed the first book so when the author contacted me to see if I would like an eARC of the sequel as well, I immediately said yes. Thanks so much, Rob! 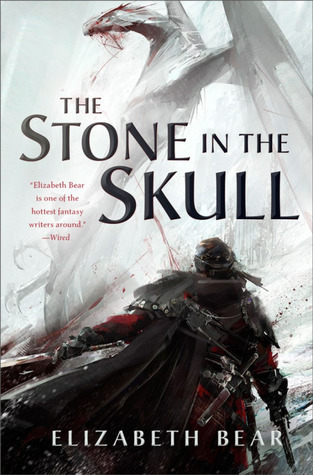 I also couldn’t resist grabbing The Stone in the Skull by Elizabeth Bear from NetGalley when I saw it offered by Tor last week. 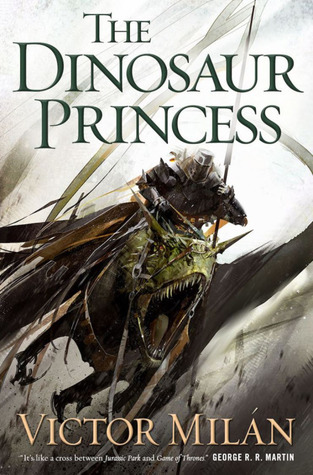 I’ve been looking forward to reading more of Bear’s books, and this start of a new series set in the same world as her Eternal Sky trilogy seemed like it would be a good place to start. 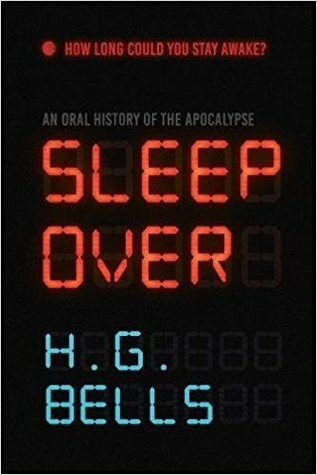 Described as an oral history of the apocalypse for fans of books like World War Z, Sleep Over by H.G. Bells is a novel that’s been on my radar for a while, and my interest hasn’t waned despite the publication delays. 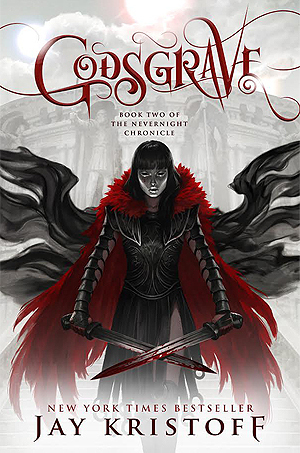 I’m just glad to hear that it’s finally coming out in the winter, and I immediately snagged an eARC which was “Read Now” from NetGalley as soon as I saw that it was available. With thanks to Talos. 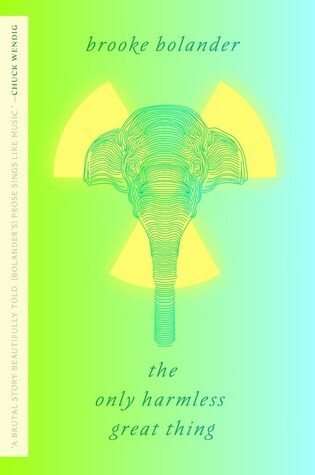 Thanks also to Tor.com for sending me an e-galley of The Only Harmless Great Thing by Brooke Bolander. Now that is some cover! The description sounds pretty wild too. It’s been a lighter week for audiobooks, but I did take on a few review copies from Penguin Random House Audio. 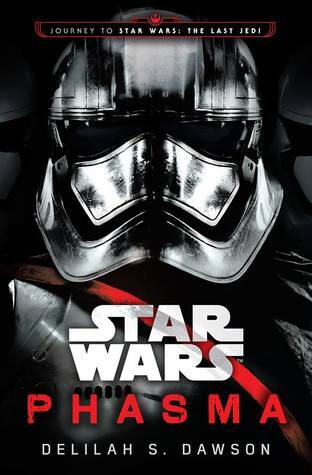 Jane, Unlimited by Kristin Cashore, Star Wars: Phasma by Delilah S. Dawson, and Leia, Princess of Alderaan by Claudia Gray are all books that I’m really looking forward to and are on my audio listening plans for September. Here’s what I’ve “unstacked” from the TBR since my last roundup post. This being the first week back to school, my schedule was really hectic and I didn’t get as much reading done as I usually do, but hopefully things will stabilize in good time. I’ve already posted reviews for a couple of these, and the rest are coming soon! Looks like an eeeexcellent haul. 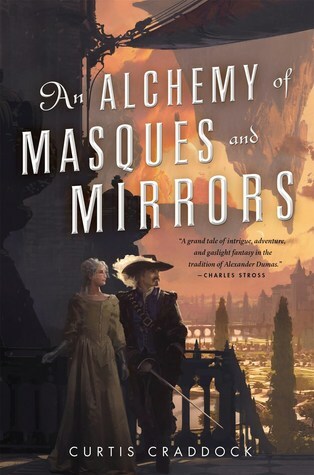 I need to get round to An Alchemy of Masques and Mirrors. I have the Salt Line and am curious about that one too. 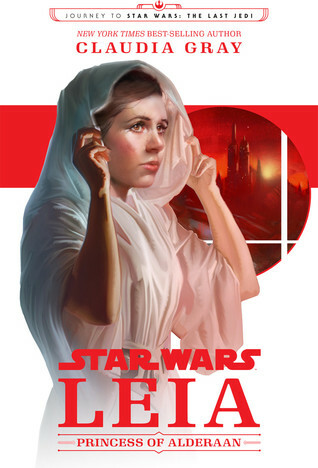 Warcross I’ll probably read next, can’t wait, and I’m hoping Star Wars Leia will be good too. Wow! That’s a lot of great books you got here! I hope you enjoy them all! I am interested in the Hellraiser book. I hope it deals with Pinhead. I’ve seen the Salt Line on a few blogs…nice cover! OOoh nice new reads! Those are some new to me ones here! Hope you enjoy them all! I’ve also got ARCs of The City of Brass, Markswoman, and The Stone in the Skull. And I’m envious that you got The Only Harmless Great Thing! 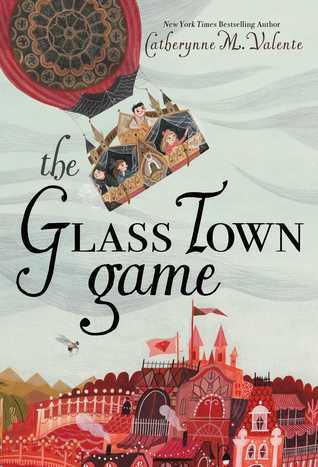 I’ve loved the author’s short stories, so I can’t wait for the novella. I’m also excited to see what you think about Warcross and Nyxia. I’ve also read Nyxia and my review’s coming up later in the month. 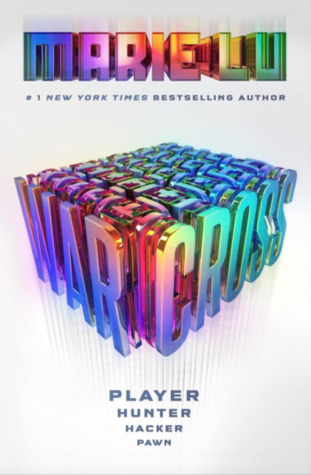 And I enjoyed Warcross, though it was very predictable/cliched. Still, it was entertaining! 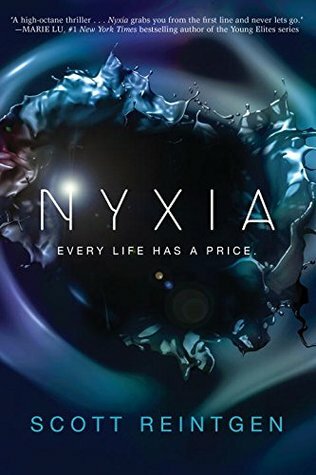 Unfortunately, I couldn’t really say the same about Nyxia, which was just not my kind of book. Nyxia wasn’t my sort of book either. The plot never really worked for me, and I felt like there were a bunch of world building holes. I agree. I guess I also expected it more of an adventure story about space travel and going to a new planet. Instead, it was like Red Rising on a space ship. I waited forever for them to get to the planet and when they did, ugh, instead of finally going down to see the place, we got even more competition! That was exactly my feeling. Agreed, I’m very excited for all of those! I am very intrigued by the new Bear’s book but I don’t know if I’ll understand it since I have not read the first trilogy set in the same world yet so I resisted my urge to request it (so far haha). oh nice! many lookgreat! happy reading! I have a few of these waiting to be read too and looking forward to them. Hadn’t heard of the new Cashore but I’ll definitely keep my eyes out for that one. My reading has been bad the past few weeks – things just outside my control but it does make me feel bad. Wow. 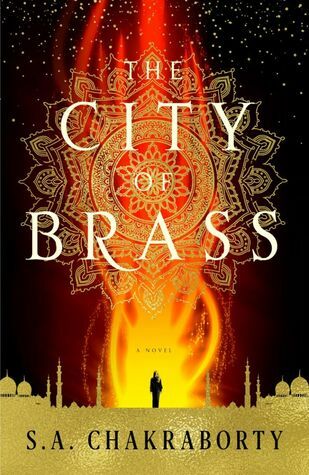 The covers for Markswoman and City of Brass are gorgeous. And then the blurbs caught my attention, too. 🙂 I hope you get to read those, and I’ll be interested in reading your thoughts on Kristin Cashore’s new book, too. 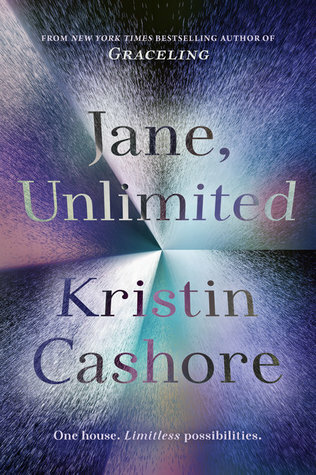 I pre-ordered Jane Unlimited a while ago, but last week I got a notice from Amazon that my copy won’t arrive until late October (?!?!). I’ve never heard of The Salt Line. I definitely need to investigate that one. You’re about as hard on my TBR as Tammy is. 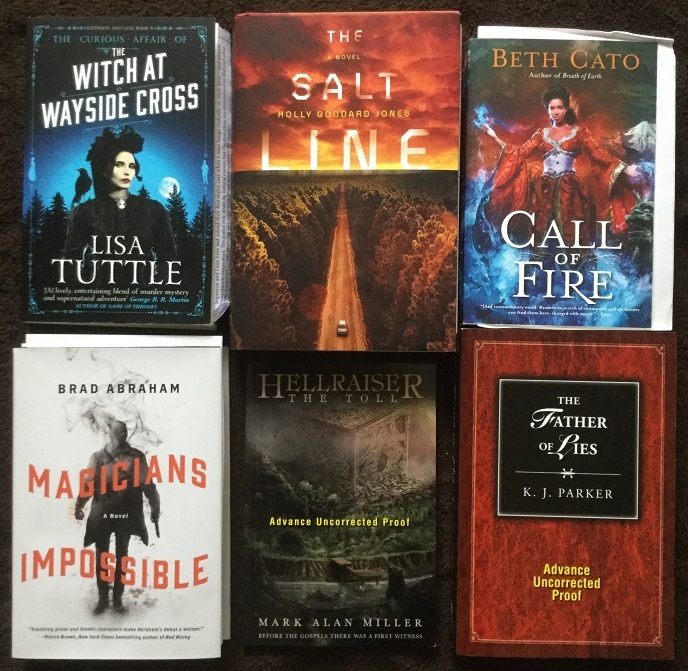 I have The Salt Line waiting to get read as well as The Witch at Wayside Cross. I’m super excited to get a copy of Magician’s Impossible and I’m starting to see Markswoman everywhere! Great bunch of books and looks like you’re getting a lot of reading done too.